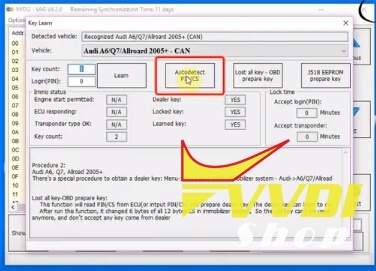 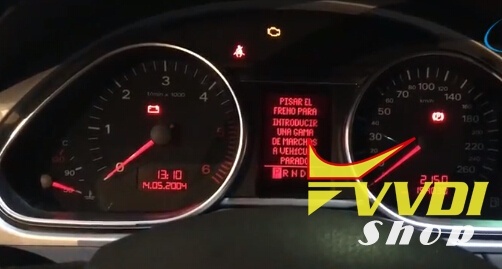 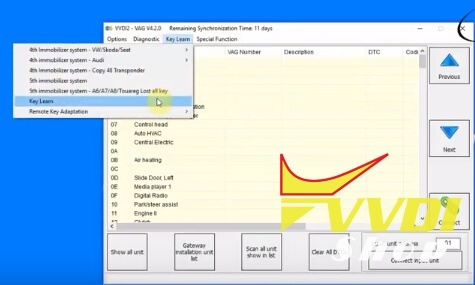 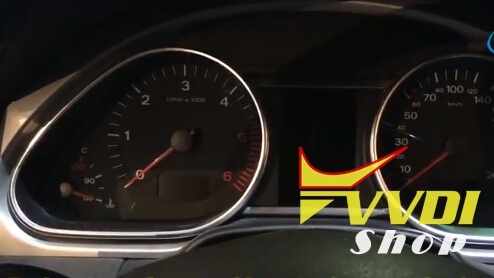 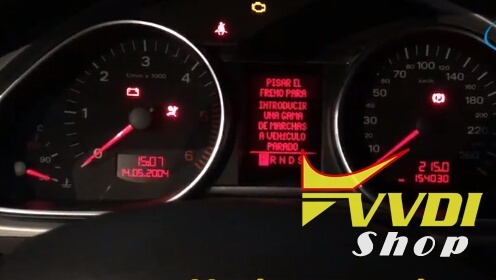 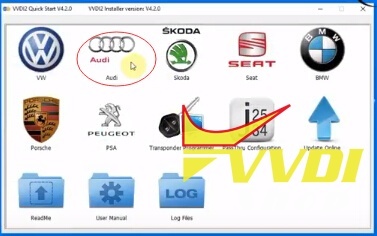 Here vvdishop introduces 2 ways to program remote smart key on a Audi Q7 year 2007 with Xhorse VVDI2 key programmer by OBD. 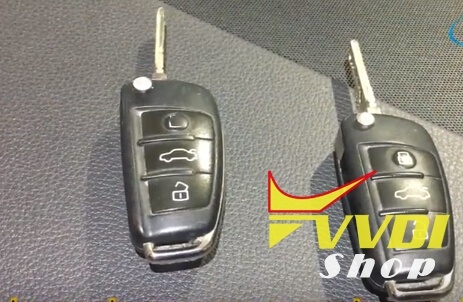 Original key can turn on the switch, remote key to be programmed cannot. 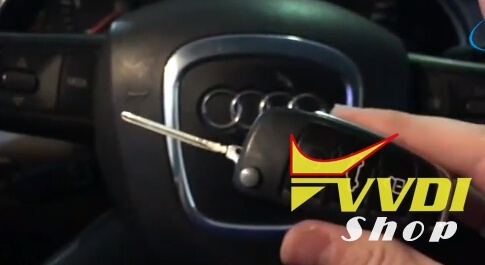 Insert the dealer key into car and switch on for at least 2 seconds. 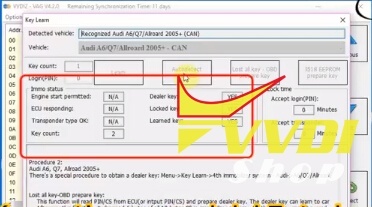 The time for change key should within 5 seconds. 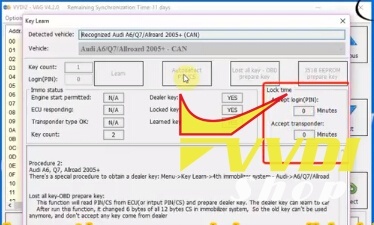 Press OKAY button after all key is learned. 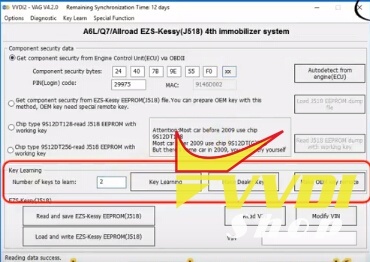 Next, we will see another method of programming. 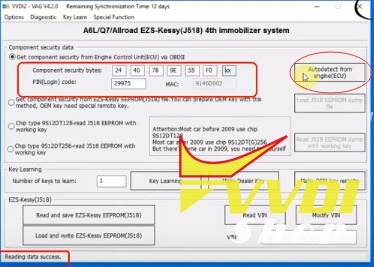 In this case, more direct and automatic.